In an age where audiences are inundated with superhero movies and superhero movie news, Josh Trank’s upcoming Fantastic Four reboot has distinguished itself from the pack by being the movie that no one knows anything about. Aside from that vague, Interstellar-inspired teaser trailer, most of what we know about this film comes from hearsay and gossip. Depending on who you talk to, the film is either coming along fine or it’s an incomprehensible disaster. Could the brand new poster for the film give us anything new to chew on? Nah. 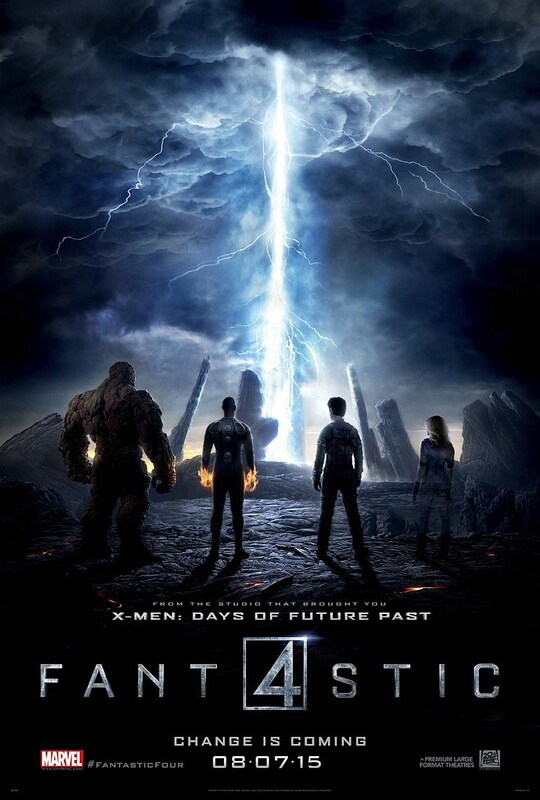 The poster is really just a vertical look at a moment we already saw in the trailer, featuring Reed Richards (Miles Teller), Johnny Storm (Michael B. Jordan), Sue Storm (Kate Mara) and Ben Grimm (Jamie Bell) standing on alien world, gazing at some kind of otherworldly ... lightning storm? Inter-dimensional portal? Loki-controlled Chitauri war gate? In any case, it wouldn’t be a superhero movie without some kind of otherworldly event radiating from the sky. At the very least, the poster does give us the tiniest glimpse of the characters’ powers. Sue looks slightly transparent, Reed’s legs look ever-so-slightly stretchy, Johnny is has got a partial flame-on going, and Ben is still a big rock monster. Actually, he’s a big rock monster whose face we still haven’t seen. What’s up with that, Fox? Let us get a glimpse at the ever-loving’ blue-eyed Thing! Fantastic Four opens in theaters on August 7.